Teenagers say many things they don’t mean when faced with difficult and explosive emotions. It is a part of growing up, feeling that intense sweep of emotions that are so big they can’t be controlled. Part of it is the unfamiliar collection of hormones that they are experiencing in overdrive. The other part is the undeveloped brain that has yet to learn self-control or empathy, both of which continue to grow over time. In spite of that fact, not everything that teens say is something you should let slide. If they have been showing signs of suicidal ideation, it is time to intervene. One in five teens reportedly have had a major depressive episode in their lifetime. It is a commonly shared statistic, but what does it actually mean? 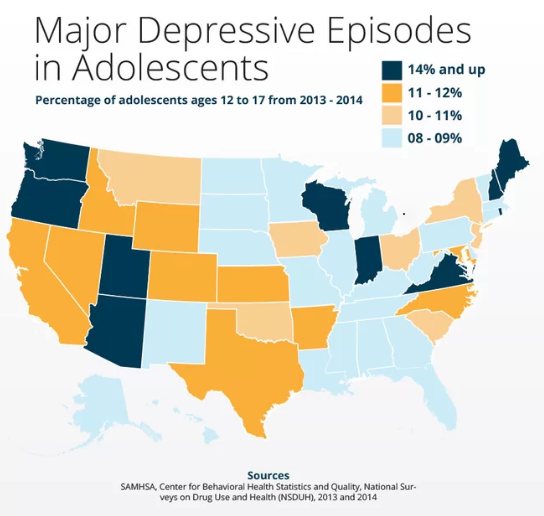 When a teenager is depressed, what does it look like? First of all, depression is not simply feeling down or having a bad day. It is a serious state of mind that can also be considered a condition when regularly experienced. For some, it is a serious mental health issue that they will struggle with the rest of their lives. It can be easy to mistake it for simple teen angst, so knowing the symptoms is critical. Isolation and pushing away family or friends. Any combination of symptoms could be a sign of serious depression in your teenager. That can mean much more than they need some therapy. There could be a genuine risk to their life. Suicidal ideation is among one of the most troubling and dangerous symptoms found with depression. Ideation is when someone begins to consider suicide and daydream about it as a possible solution to their problems or to end their emotions. Ideation doesn’t have to be a serious attempt to qualify as dangerous. Casually thinking of suicide is a huge red flag and may be an early indicator that an attempt is coming, Language such as, “I want to die” or “I wish I could just kill myself” should be taken seriously. Your child may be crying out for help without even realizing they are doing so. Why does it have to be taken so seriously? More than 4,500 young people under the age of 24-years-old commit suicide every year. 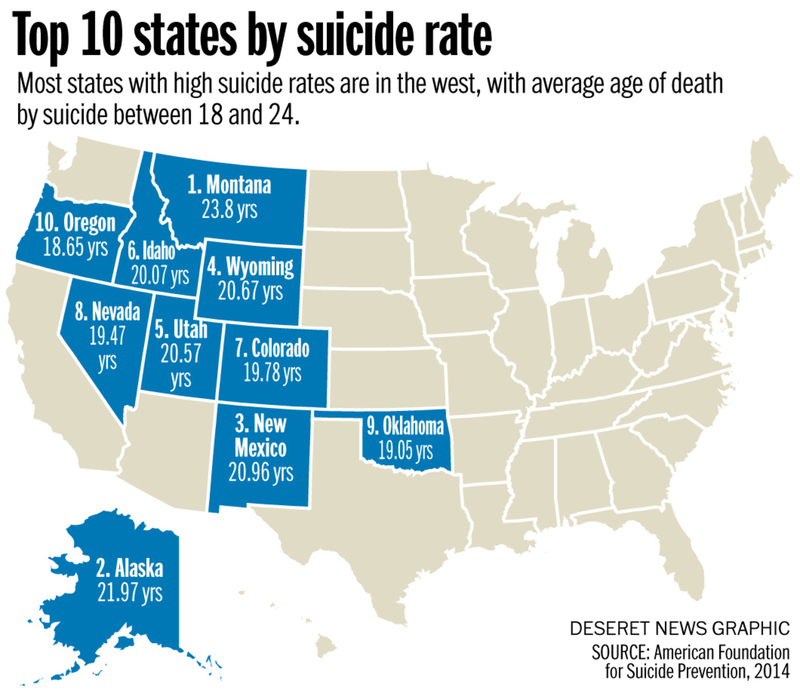 In the past few years, suicide has risen to the second leading cause of death for those within the same age range, starting at as early as 12-years-old. The number of kids under the age of fifteen who are taking their lives seemed to be rising, with more and more news stories hitting the front pages. There is an epidemic of suicide among our youth. It is up to us to recognize the signs and provide the necessary help before it is too late. A residential treatment center is a facility that offers around the clock care and treatment for those who have been admitted. It is often more casual than a hospital, offering recreational options and beautiful grounds to help the patient feel more at ease and get the activity that is necessary to keep them sharp and happy. This is all the more important in cases of depression, where stagnation and lack of activity can lead to increased symptoms and may even cause depression in some cases. In a residential treatment center, they will have access to personal and group therapy, medication monitoring, recreational therapy (such as at and music), life skills teaching and more. All designed to help stabilize your teen and prepare them for life outside. There is no singular answer to how long a stay might be. For some patients, it is only necessary to spend a few days to a week in order to stabilize any medication needs and ensure they are not suicidal. For others, they may need a few months at the facility to help them cope with life and gain the skills they need to do so. The average stay is around six weeks to three months. In some cases, it may be beneficial to do a part of the stay in a residential treatment center before transferring to another program, such as an outpatient program. What If They Can Not Miss School? 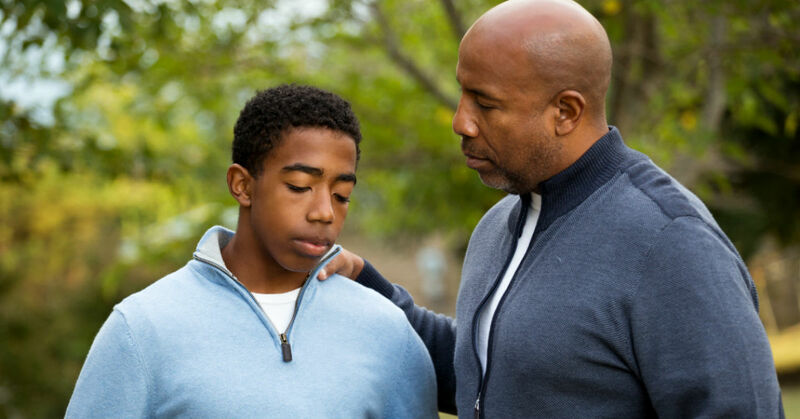 This is a common worry among parents, especially if their teen has been truant or missed a great deal of school due to depression or other conditions. However, a stay in a treatment center is considered a valid reason for missing school. If there is a need for a longer stay, there are options. For example, a patient may choose to transfer to a therapeutic boarding school. This is a facility that is half boarding school, half residential treatment center. They are fully accredited and have personalized tutoring, small class sizes and tailored help to correct any problems that have occurred in school in the past. That includes falling grades, or even being behind a grade. Do Residential Treatment Centers Deal With Substance Abuse? Most residential treatment centers do not have substance abuse rehabilitation or detox as a part of their program. However, once a teen has detoxed they are able to be admitted to the facility. During their stay, they will be given counseling and allowed to participate in special group therapy sessions that include addiction recovery. These sessions are kept separate from non-drug users in order to minimize glamorizing drug use in impressionable teens.